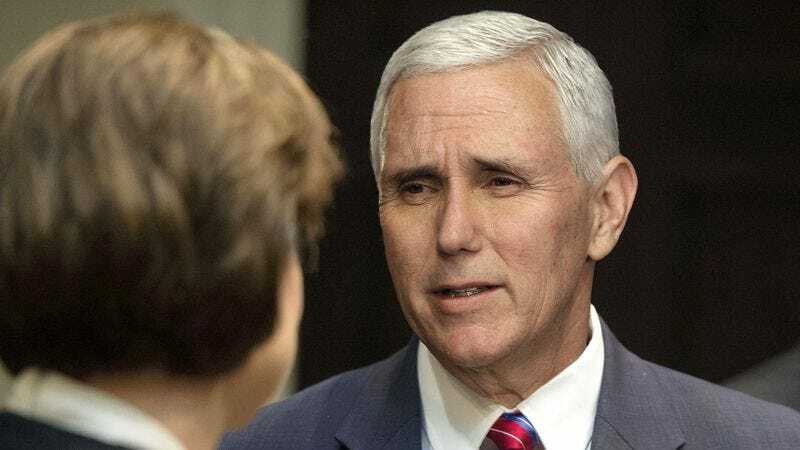 WASHINGTON—Saying that he was really worried about her and only wanted to help, Vice President Mike Pence reportedly had a long heart-to-heart conversation Friday with a staffer who came to work with coffee on her breath. “Look, I know you’re trying to hide it, but I can smell it—you’ve been drinking coffee, haven’t you?” said Pence, who had confronted aide Dana O’Brien with the allegation after summoning her to his office, gently closing the door, and assuring her that she was not in any trouble whatsoever. “I just want you to get the help you need, and if that means taking some time off work to get clean, you have my full support. And listen, I know I’m your boss, but if you want to talk to someone about your problems, you can always knock on my door.” At press time, Pence was kindly reminding another employee whom he caught drinking a ginger ale for the third time in a week that he has a wife and children who love him very much.